It has been reported that BMW will use the upcoming Pebble Beach Concourse d'Elegance on 17 August 2017 to showcase a concept for its future roadster. The BMW Z4's successor (referred to as the "Z5" but not officially named as such), was spotted testing last year, but the details regarding the new roadster are minimal. The "Z5" Roadster and forthcoming Toyota Supra is the result of a collaboration between BMW and Toyota to each co-develop and build a new mid-size sports car on the same platform. 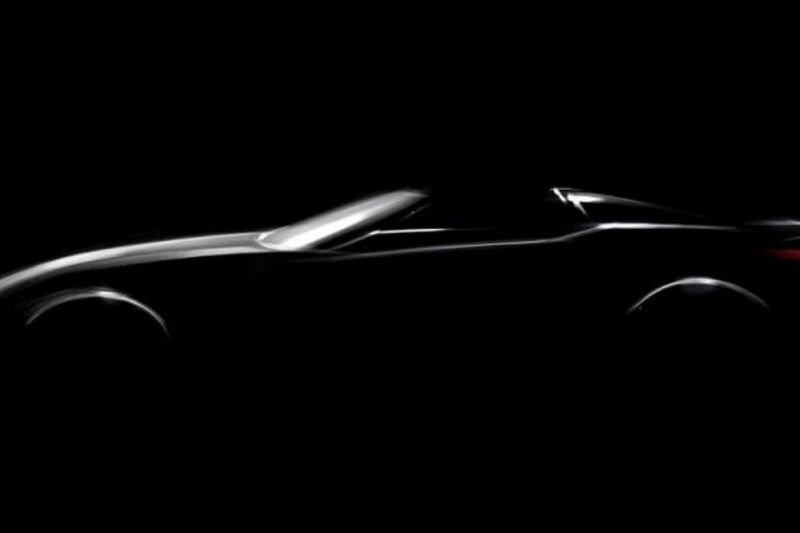 BMW has released a single image teasing its "Z5" Roadster concept. The image reveals that the vehicle will have a long bonnet with a raked windscreen and 2 rollover hoops, as well as flared wheel arches, a rear spoiler and slim taillights. When it comes to engine power, the "Z5" is most likely to have a 4-cylinder, 2.0-litre twin turbo engine, as well as a 3.0-litre, 6 cylinder twin turbo engine. The exact details, however, have yet to be confirmed. The BMW "Z5" Roadster concept will make an appearance this year at the Pebble Beach Concourse d'Elegance! Check out the video of the BMW Z5 testing at the Nurburgring Nordschliefe below.